Home Latest News Auctions Another Record Breaking Auction! Auction House North West celebrated their 1st year anniversary of its inception with a record breaking auction in October, achieving their largest ever Property Auction with 131 lots offered and achieving their largest ever gross sales taking in excess of £6.3million at a sale success rate of 78%! 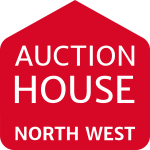 Auction House North West was officially the largest Auctioneer in the entire North West region for October, offering more lots, selling at a higher percentage and achieving the highest sales than any other in the region. The Spooktacular Auction Event was witnessed by another full room of buyers. 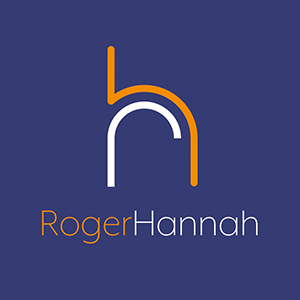 The Auction experts, who operate out of the heart of Manchester City Centre and Preston, offer unrivalled coverage across the North West and beyond with specialists in selling both Commercial & Residential property. From a broad range of clients with varying property needs, Auction House North West deliver 7 Property Auctions a year, taking entries for their record breaking event in a swift 2 week turnaround. The opportunities presented by sellers on the day ranged from 5no prominent Manchester City Centre Apartments (all of which were sold on the day), an Apartment in the landmark Beetham Tower (the 1st time ever an apartment in this Manchester City Centre development has sold at auction) sold for £245,000, the Oldest Nightclub in The Gay Village Manchester, rich in history and selling for £600,000+, to locally famous period houses that sold for £275,000 on the day. Achieving yet another company best, the rise in quality and high value stock obtained within Manchester City Centre, is testament to the hard work that has been dedicated to ensuring Auction House North West help their clients with the best options for selling their properties and portfolios. “The entire auction was a record breaking event for Auction House North West. Our largest ever auction with 131 Lots raising our largest ever gross sales taking in excess of £6.3million with a sale success rate currently at 78%. The Lots ranged from parcels of land with a NIL reserve to a famous landmark pub selling prior to auction for a figure in excess of the quoted Guide of £600,000+. We sold 100% of the lots for one client who entered 16 residential units and sold 3 Manchester City Centre Apartments prior to auction for another client. Our largest residential sale was a locally famous house in Lancaster – Quarry Mount that saw the hammer fall at £275,000. The Registration room was still packed long after the Auction had started with would be buyers. The North West of England has the most active UK Auctions market outside of London. 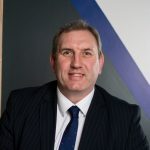 The advent of the ‘Northern Powerhouse’ is starting to transform the region and clear signs of an investment surge are now highly visible in the area. “Commercially speaking, the auction was a great success, there were many particularly pleasing results but specifically one client entered a small portfolio of commercial units and every one sold, netting the client more than £157,000 above the combined guide prices. Overall we disposed of over £1.8m of commercial property, with more post auction deals to follow which should see us top the £2m mark. 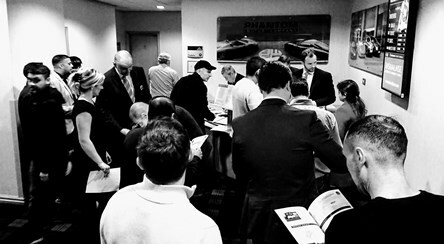 Auction House North West are already receiving entries for their next Auction, taking place on Wednesday 13th December and is to be held at the highly accessible Macron Stadium in Bolton. 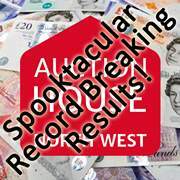 Auction House North West Sell - £30m in 1st Year!